Any seasoned computer technician will tell you, there are two types of hard drives – those that have failed and those that will fail. The only question is when. With Blue Jean Networks’ Backup & Disaster Recovery, you can have peace of mind knowing all of your data is continuously archived, redundant, and ready to restore at a moment’s notice, even after a major disaster. Your company’s data is one of its most valuable assets. Over 80% of businesses don’t have a reliable backup solution. That means 80% of all businesses aren’t protecting one of their most valuable assets – their data. Think about it, your company’s data is the culmination of your entire staff’s work over the years. The cost of restoring data on a malfunctioning hard drive is astronomical and never guaranteed (hey, when it’s broke, it’s broke!). We’ve all heard the horror stories; but ask yourself, how secure are your backups? Often, business owners are well aware of the fundamental necessity of data backup. If you’ve suffered from data loss, then you already know its value. Whether you use tape drives to regularly backup your server, or another type of external storage, you know that the costs of the backup device are well worth it, tenfold. However, data loss still amounts to massive downtime as you wait for the backup to be restored. Wouldn’t you rather it only took minutes away from your productivity, instead of hours or days? Our bullet-proof system not only backs up your data every fifteen minutes, but in the event of a server malfunction, it can assume the role of that server, while still performing incremental backups. This means your network is still up while your server is being fixed and parts are being ordered. Don’t think of it as merely a data backup solution, but as a complete fail-safe for your servers. We call it the Backup/Disaster Recovery Device (BDR). When your server is repaired or replaced, regardless of the new hardware, the BDR Device can perform a bare metal install to make your infrastructure in-house redundant once more. To ensure that your data is protected in any disaster, the BDR encrypts and archives your data at our two off-site data centers (one on the East Coast, one on the West Coast) incrementally. 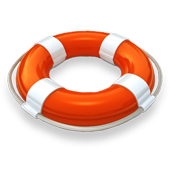 This is the ultimate, iron-clad solution for data backup and disaster recovery! Your files are always accessible at a moment’s notice, and can be restored easily.